We're preparing well-rounded lawyers - lawyers that appreciate the relationships among legal, social and political aspects of the human experience. In order to best serve clients and society, lawyers must be thinkers and scholars as well as skilled technicians. Our curriculum and teaching methods are designed to prepare you for a lifetime of both practicing and learning law. We ensure that you not only learn about the law, but have an opportunity for hands-on experiences. There are many opportunities to put your knowledge into practice through classes such as lawyering skills, mediation or law practice management as well as our specialty clinics, competition teams and solo and small firm incubator. Students can also focus their education through an emphasis area. JD/MBA 3-4 years, JD/MPA 3-4 years, JD/LLM 3 1/2-4 years. 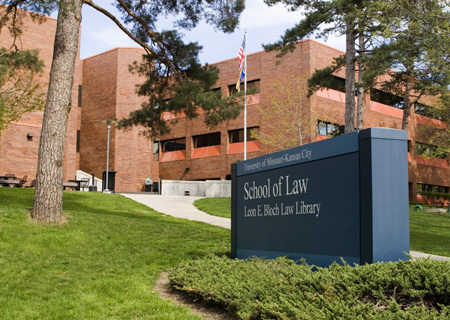 Want more info about University of Missouri Kansas City School of Law? Get free advice from education experts and Noodle community members. how long u been here?